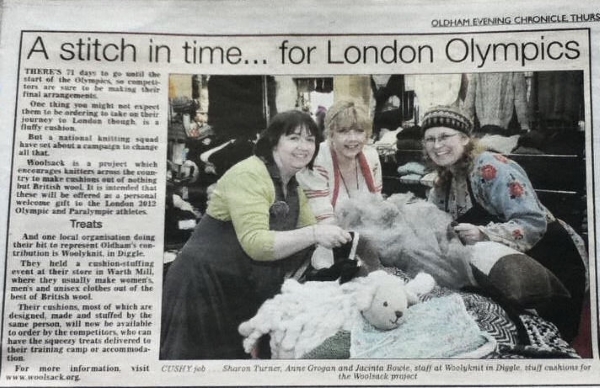 The Radio 4 PM programme featured some of the challenges faced by Woolsack. A group of Team GB rowers were listening to the programme as they travelled back from their selection for the 2012 Games. 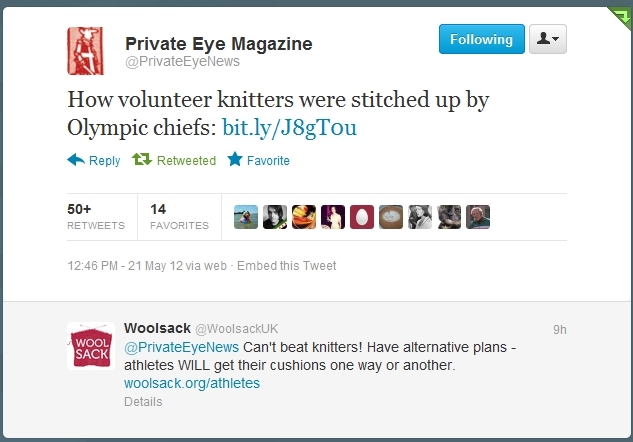 They got in touch with us and the results can be viewed here. 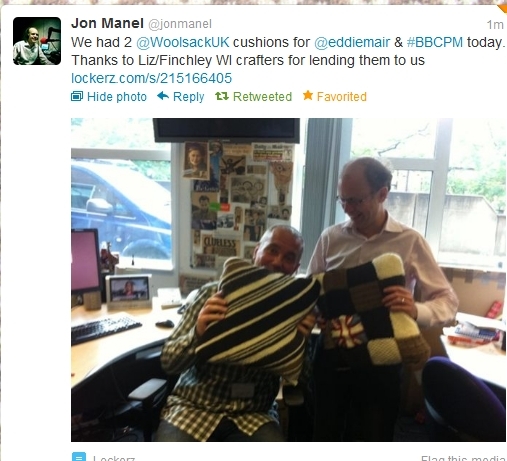 The way the BBC handled the whole affair was very helpful so we wanted to let Jon Manel & Eddie Mair borrow a couple of cushions (made by some of our organisers who were happy for this to happen) so they could experience some of the 'Woolsack love'. 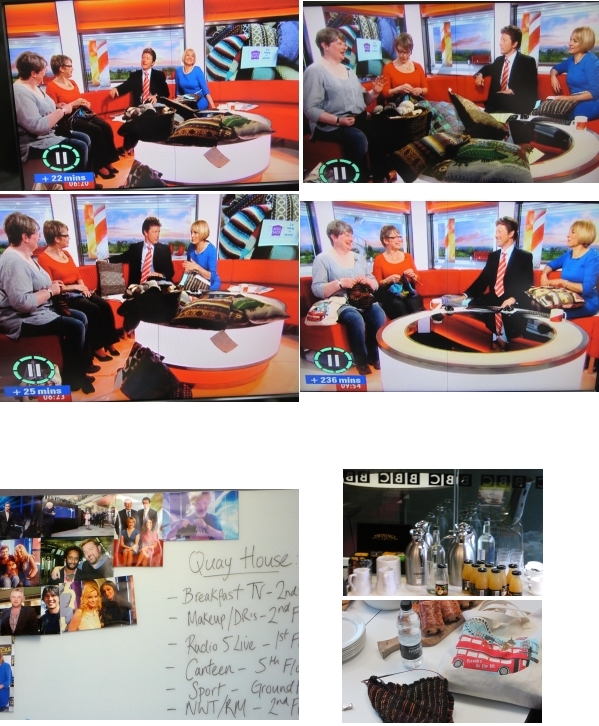 On 9 June 2012 Woolsack featured on BBC Breakfast. The Green Room was a wonderful place to knit and eat breakfast between the two appearances on the show.